Hello everyone sorry about the whole long time, no talk thing. You see a lot has happened in my life since my last blog post. For one I am marrying the man of my dreams! I guess it’s true what they say, that you will know when it is right. It didn’t take me long after I met Tyler to know that he is my better half, my one true love, and my real life prince charming. 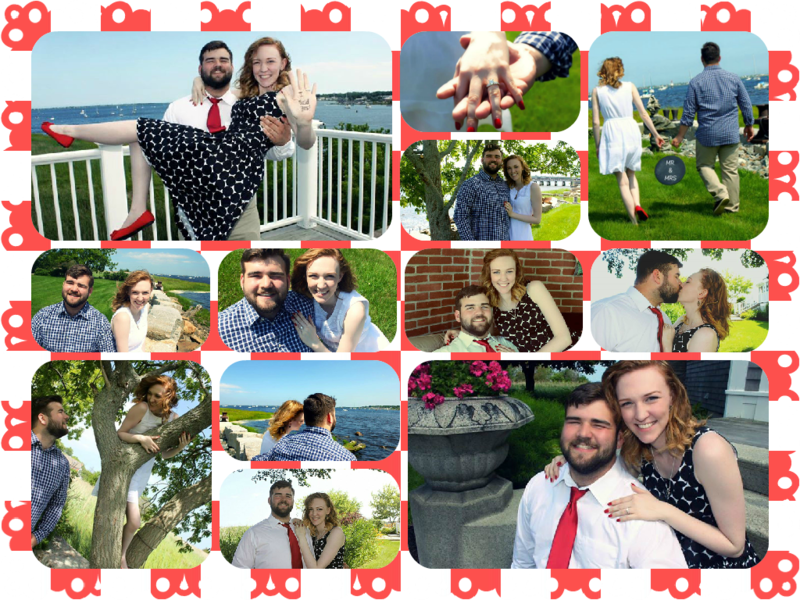 After a few years of dating he proposed, he made the day romantic and magical and since that day I haven’t been able to stop smiling. The day began with a trip to my favorite amusement park where we saw dancing bears and took train rides into the mountains. We got an early dinner at a common man restaurant where we typically go for all our special occasions. After dinner, we went to the beach where we walked along the boardwalk and enjoyed each others company. Tyler had scheduled a boat ride that had been rained out because of the unexpected weather. So we then went bowling and to an arcade (and if you know me, you know that’s my idea of heaven). When we got back to our house he got down on one knee and asked me to be his wife. I honestly believe I am the luckiest girl in the world to be blessed with this amazing man as my future husband. We have begun planning all the details from the wedding party to the venue and date. It’s amazing to be planning every detail of the day that will start the rest of our lives together. The happiness and love that I feel is beyond anything that I could ever imagine. And I hope that all of you experience this same joy and pure happiness. This brings me to the lesson/rant of this post. So many of you have written to me about relationships you are settling with or relationships are harmful in different ways. Love is an amazing feeling, one that is hard to describe. It is a feeling of overwhelming joy, joy that you only feel when you are with the other person. It is a feeling of peace knowing that no matter what hardships are to happen you will always be where you belong as long as you are with your other half. Everyone deserves to feel this way it is a sense of truly belonging and a sense of comfort knowing you have met someone who will walk with you through all twists and turns of life. To settle for the wrong person will not allow you to be blessed with these feelings that make up the joy of love. And for those who are in a relationship that is not exactly healthy you need to realize that love is supposed to be joyful, sweet, and peaceful. Any sort of abuse is not love and if your partner is not respectful of your body or your feelings you need to realize your worth and respect yourself enough to set your standards higher and hold whoever you allow into your heart up to those standards. Trust me when I tell you waiting for Mr. Right is worth it. Never settle in love because true love is something worth living for. I understand that I am one of the lucky few who found the person who makes me feel so loved at such a young age. But I must tell you all this feeling is worth waiting for, it truly is a feeling of a lifetime. hiiii Michelle..i don’t know u much..but still feel a connection. i wish u all the very best for a new start in life..u two look gr8 together.